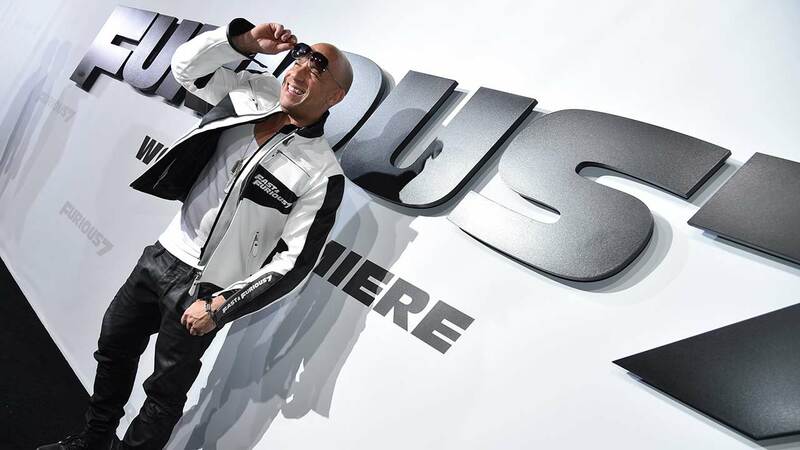 NEW YORK -- The high-octane thriller "Furious 7" maintained speed in its second week, racing away with $60.6 million at North American theaters and bringing its box-office total to a robust $252.5 million, according to studio estimates Sunday. Universal's "Furious 7" more than lapped the competition. The only new wide release of the weekend, the rodeo romance "The Longest Ride," opened with $13.5 million. That was good enough for third place for the Fox release, which stars Clint Eastwood's son, Scott Eastwood. In second was the DreamWorks animated alien adventure "Home," which pulled in $19 million in its third week of release. But "Furious 7" continued to dominate the marketplace, dropping only 59 percent from its remarkable $147.2 million debut last weekend. Globally, it has already crossed $800 million in its first two weeks of release, according to Universal. The weekend international total - an eye-popping $195 million - was boosted by the film premiering in China on Sunday, where it earned an estimated $68.6 million in just one day. Over 10 days, "Furious 7," which prominently features a tribute to the late actor Paul Walker, has already out-grossed all previous installments of the 14-year-old franchise. At its current pace, "Furious 7" will likely become the highest grossing film in Universal's history. The studio's "Jurassic Park," from 1993, holds Universal's mark with $1.02 billion worldwide. It's a summer blockbuster-sized result for "Furious 7," but by opening in April, it has little competition in its way. On a much smaller scale, the critically acclaimed sci-fi film "Ex Machina" drew the year's largest theater average of $62,489 in four theaters. 1. "Furious 7," $60.6 million ($195 million international). 2. "Home," $19 million ($15.2 million international). 3. "The Longest Ride," $13.5 million ($3 million international). 4. "Get Hard," $8.6 million ($1.4 million international). 5. "Cinderella," $7.2 million ($12.6 million international). 6. "The Divergent Series: Insurgent," $6.9 million ($7.9 million international). 7. "Woman in Gold," $5.9 million. 8. "It Follows," $2 million. 9. "Danny Collins," $1.6 million. 10. "While We're Young," $1.4 million. 1. "Furious 7," $195 million. 2. "Wolf Warriors," $18 million. 5. "Kingsman: The Secret Service," $9 million. 6. "Let's Get Married," $8.5 million. 7. "The Divergent Series: Insurgent," $7.9 million. 8. "Pourquoi j'ai (pas) mange mon pere," $3.5 million. 9. "The SpongeBob Movie: Sponge Out of Water," $3.2 million. 10. "The Longest Ride," $3 million.